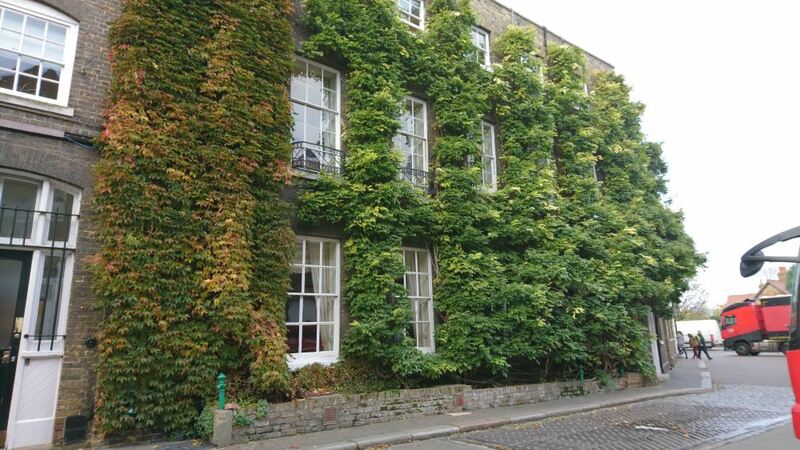 It is satisfying to see an example of industrial heritage still fulfilling its original purpose. 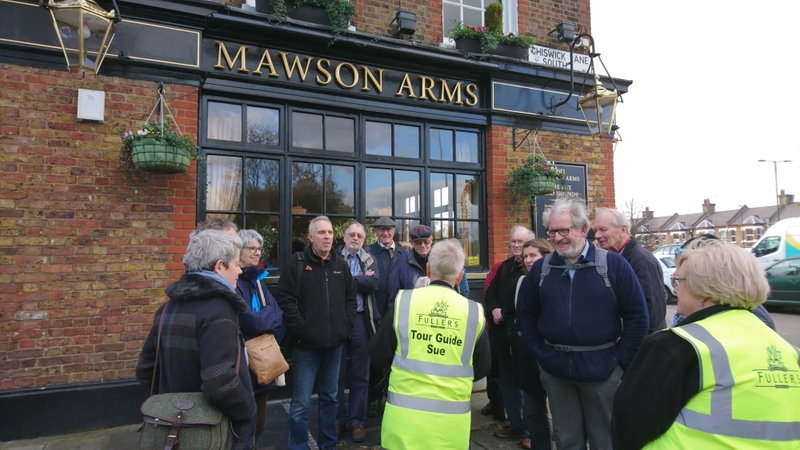 At the Griffin Brewery, we were treated to the sight of a working brewery that has occupied its current Chiswick premises since 1828, and has roots nearby that go back over 350 years. It is still a family business, with half the shares still held by a Mr. Fuller, who is personally involved in the running of the brewery. All products branded with the ‘Fuller’s’ name are made on a single site in Chiswick. The buildings have been added to and modernised in line with the needs of the business, but much of the older fittings and fixtures have been retained as part of the brewery’s heritage and it is possible to see both how the process operates today, and how aspects of it would have been much the same in the 19th century. We were guided through the preparation of beer, all the while accompanied by yeasty and boozy smells drifting from various containers. Starting with the rolling and toasting of the malt, we crunched through samples to get an idea of the different flavours that can be drawn out. 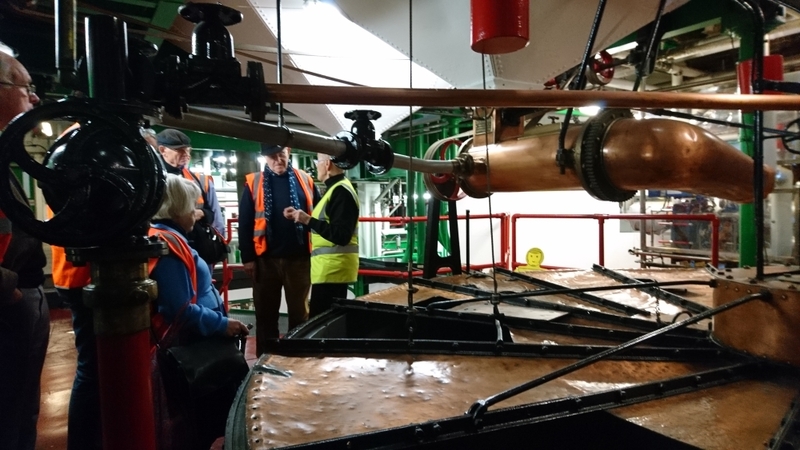 The malted barley is then soaked in water in a mash tun to convert the starch into fermentable sugar. 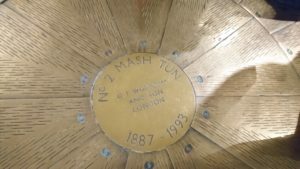 One mash tun that ceased to be used in 1993 is still in place and can be viewed on the tour. 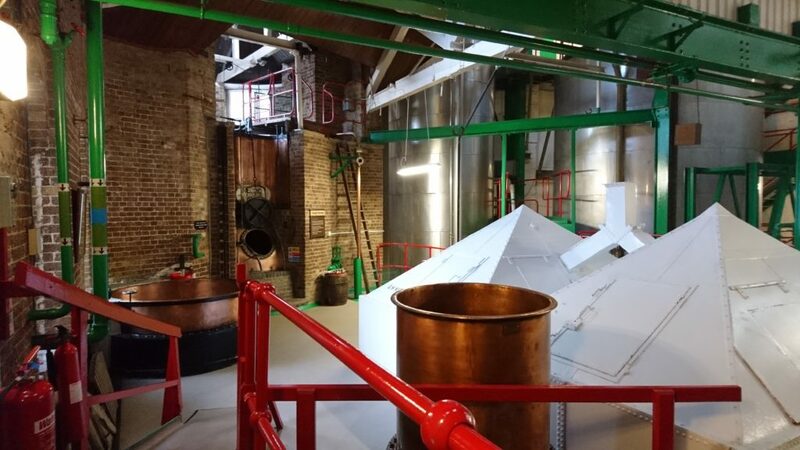 The water used for brewing needs to be especially hard, the best being found in Burton upon Trent where it is rich in calcium sulphate (gypsum). Brewers elsewhere resort to adding gypsum to their water in a process called Burtonisation. The ‘sweet wort’ or liquid is heated in a copper and hops added. 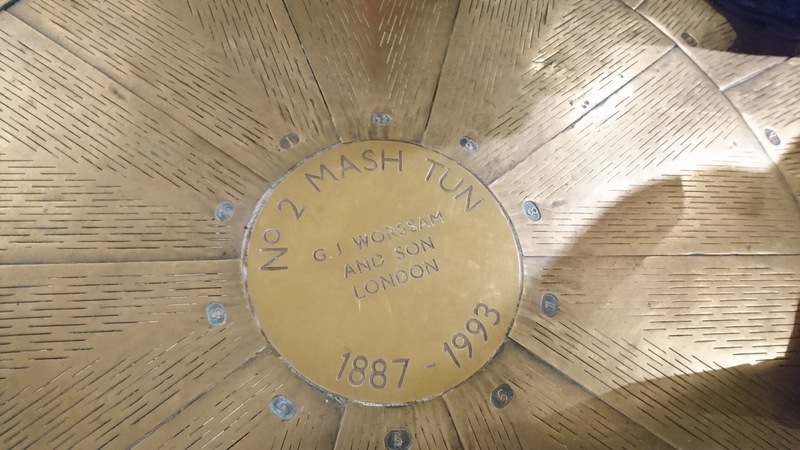 The oldest copper on the site was installed in 1823 within a brick surround for heat retention. It was originally coal fired and was last used in 1984. The liquid is then fermented with brewers’ yeast in enclosed tanks. They would historically have been open vats, which no doubt added natural yeasts and other interesting ingredients to the final product. 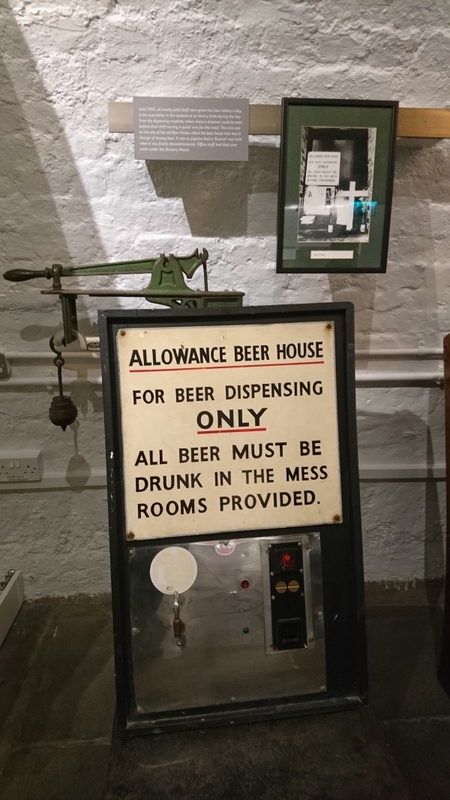 Downstairs in the Hock Cellar, we sampled various traditional ales and craft brews and learned that a beer allowance was part and parcel of working in a ‘wet’ brewery (i.e. one where you were allowed to drink on the job!). To prevent this getting out of hand, a machine was installed to be fed with tokens received by workers in each pay packet. Fuller’s employees can present a card at the brewery shop and receive their allowance of beer – but drinking it during a shift is frowned upon these days. 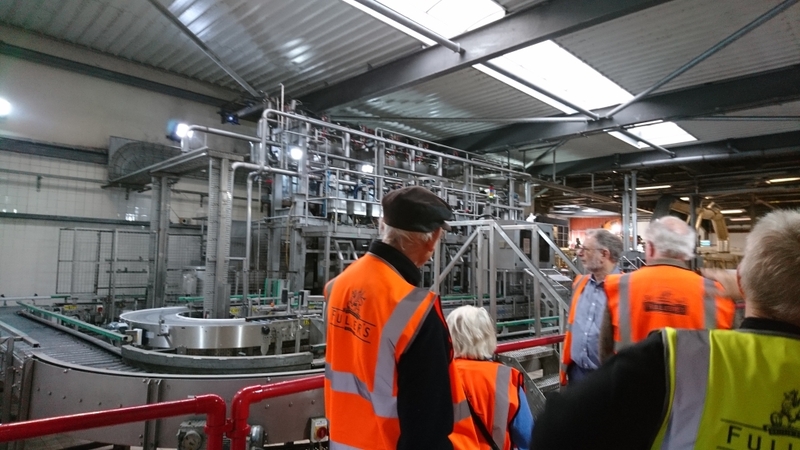 We would like to thank our guides, Sue and Chris and all at Fuller’s Brewery for an extremely informative tour of a very interesting multi-phase industrial building.